 This sermon was originally delivered to the congregation of Harmony, a Unitarian Universalist Community, on January 1, 2017. It is published here with permission from the writer, with all rights reserved. When I was a little girl, I loved Mr. Rogers. I’m sure many of you remember his long-running series, “Mr. Rogers’ Neighborhood,” which aired on PBS from 1968 until 2001. I have such fond early childhood memories of Trolley, jing-a-linging his way to the Neighborhood of Make-Believe, populated with slightly bizarre puppet people like King Friday, Prince Tuesday, Daniel Tiger, and Lady Elaine Fairchilde. Fun fact: François Clemmons is a UU in real life! In the aftermath of the presidential election, with all its vitriol, divisiveness, open hostility, and pervasive, intense fear, I had that wind-knocked-out-of-me feeling. Followed by the daze you often experience after a major shock, like “Is this really happening?” In order to emerge from that daze, and to move forward in hope rather than fall back into a mire of despair, I had to find something solid to hold onto. Who should come to mind, but Mr. Rogers? “For me, as for all children, the world could have come to seem a scary place to live. But I felt secure with my parents, and they let me know that we were safely together whenever I showed concern about accounts of alarming events in the world. I decided to grab onto Mr. Rogers’ notions as a way of pulling myself out of the dark, swirling, scary place. 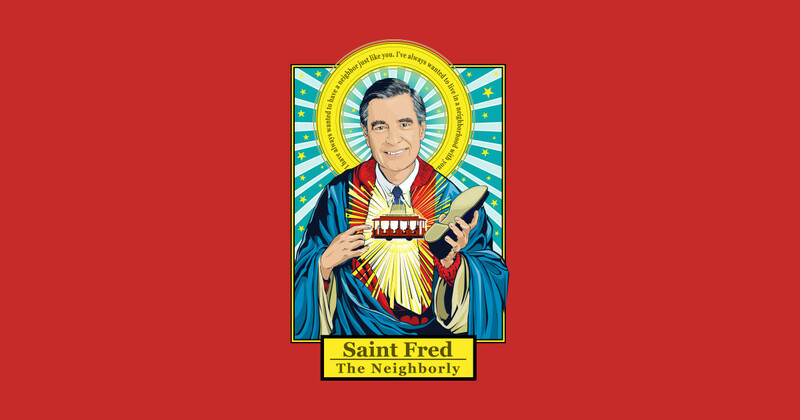 As a kid, I had no idea Mr. Rogers was an ordained Presbyterian minister. Turns out, his TV show was his ministry. Pretty sneaky, right? But also, pretty effective in spreading the core message of Christianity to the masses. Guess what? This whole “love thy neighbor” thing isn’t just a Christian idea. It’s also woven into the seven principles of Unitarian Universalism. See also: Judaism, Islam, Hinduism … well, you see the pattern here. A higher calling to get to know and care for our neighbors can be found across all major religions. You shall neither take revenge from nor bear a grudge against the members of your people; you shall love your neighbor as yourself. I am the Lord. By making dharma (right conduct) your main focus, treat others as you treat yourself. Yet we humans tend to put up fences, of both physical and invisible varieties, between us and our neighbors. At best, such barriers create lack of awareness and understanding of each other’s traditions and values. At worst, they can lead to bias, prejudice, fear, hatred, and ultimately violence. One year ago, an interfaith coalition of 15 civil rights and faith-based organizations launched a national initiative called Know Your Neighbor at a White House meeting on religious pluralism. The idea was to promote inclusion, freedom, respect, and cooperation among people of different faiths. I don’t think any of us sets out to exclude, ignore, or even hate our neighbors who seem different from us. More commonly, we unconsciously pick up biased attitudes and social norms from a young age, influenced by our families of origin, religious and educational institutions, classmates and friends, circumstances, media, you name it. When I reflect on my own life, I find many instances when my social programming was challenged by personal relationships. While growing up, I had no clue why some boys I’d see in school wore their hair up in turbans and, in high school at least, sported thick beards. Then, one of these boys happened to be in my senior high school English class. During that year, I got to know to him, and learned that he was a Sikh, a religion originating in northern India. He wore the turban and beard because he had been baptized and adhered to the Sikh code of not cutting his hair. I also learned he was quite the smartass, frequently cracking jokes in class discussions, and a pretty cool cat. A couple of years later while attending Miami University, I found out that one of my feminist mentors—who was director of the school’s women’s center at the time—practiced Wicca. Yes, she was a witch. Prior to knowing her, I had only the cackling, broom-riding witches of fairy tales and movies as a point of reference. Pretty ridiculous. Now, I had a real, live person, a social activist whom I respected and liked very much, to help round out my perspective on modern Paganism. Fast forward to 2002, when I married a man who happens to be multiracial. We’ll be celebrating our 15-year wedding anniversary this April, and I can honestly say I’m still learning just how profoundly different life can be for a non-white person in this country. Before I knew and loved Jay, I was oblivious to much of the racism people of color encounter. Over the years, he has helped me see beyond my veil of “white privilege,” and begin to grasp just how pervasive racism is in our society. I could go on and on, recounting the many individuals who have come into my life as “others,” and ultimately helped me realize we have more in common than I thought. A recent “Saturday Night Live” skit beautifully illustrates the point that sometimes our preconceptions about “others” are surprisingly inaccurate. That all we need is to get to know someone to understand that we’re a lot more alike than we initially thought. Kirsten Adorian, a home cook and nutrition specialist living in Brooklyn, New York, decided after the election to prepare and deliver free meals to her fellow LGBTQ neighbors. She says reaching people through food is one way of reminding them that they are not alone. Christian Bucks, a first grader in York, Pennsylvania, came up with the idea of a “Buddy Bench” to get rid of loneliness and create friendships on the playground. First, he got his school principal to back the idea, and together they brought it to life with a Buddy Bench on the school playground. Now, kids all over the world are following his example and making Buddy Benches at their schools, too. Elizabeth Lesser, who cofounded the Omega Institute (one of the country’s largest holistic learning centers) started her own personal initiative a few years ago: Take the Other to Lunch. The idea is simple: Invite someone with an opposing viewpoint, different religious beliefs, or political ideology to join you on your lunch break. Share a meal and some conversation, not with the intent of changing the “other’s” mind or position, but simply to connect and maybe find some common ground or empathy for each other. To sum up: Help a neighbor in a jam. Bring food. Invite someone to play. Put up welcome signs. Have lunch. Pretty doable. In my quest for a positive way forward in 2017, I realized the most natural place to start is right here. 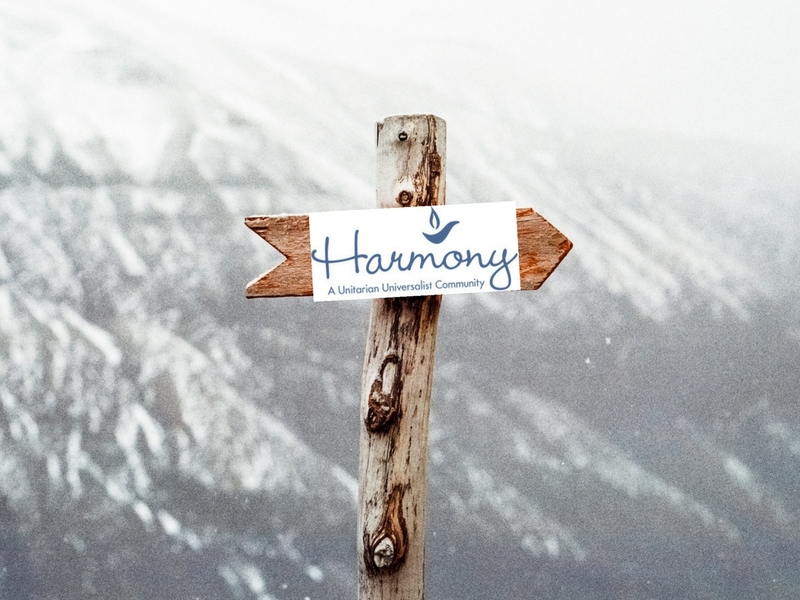 Harmony. It’s in the name of our church, for Pete’s sake! Here we are, a group of neighbors who all believe in the seven UU principles. We have a meeting space to call home. We have minds that think, hearts that love, and hands that are ready to serve. Why don’t we work together to make Harmony known as a welcoming neighborhood gathering place for respectful, open dialogue and peaceful bridge-building? “The secret to peace is us. It’s us who act as a surrounding community around anyconflict who can play a constructive role. Because if you think about it, normally when we think of conflict when we describe it, there’s always two sides. You know, it’s Arabs versus Israelis, labor versus management, husband versus wife, Republicans versus Democrats, but what we don’t often see is that there’s always a third side. And the third side of the conflict is us. It’s the surrounding community. It’s the friends, the allies, the family members, the neighbors. And we can play an incredibly constructive role. If we are the “third side,” what kind of actions could we take this year to start making more of our neighbors feel included and loved? Let’s look for ways to incorporate this neighborly approach to what we already do at Harmony. Invite special guests to tell their stories at our regular Sunday services. I’ve already started making a list of sermon topics and reaching out to some possible speakers, such as the Imam from the Islamic Center of Mason, the director of RefugeeConnect, the founder of May We Help, and others. I know Harmony member Sharon Bodmer is looking to set up visits to other churches on the second Sunday of each month. And Ashley Bauman wants to expand our social justice activism to help protect and welcome our neighbors who are vulnerable and at risk, particularly those experiencing oppression, hatred, and violence. Kif Corcoran said the Islamic Center of Greater Cincinnati in West Chester is holding an open house/tour of their mosque on January 14—anyone want to join her family for the tour? How could we update or enhance our physical space to make it more appealing as a hub of peace? Upgrade the library? Turn the ant-bait room upstairs into a dedicated meditation and prayer space? What about co-hosting one of our Practical Theology Group discussions with the NAACP or the Su Casa Hispanic Center? Could our RE Children for Others make a Buddy Bench for a local school playground? What if our Sequoias helped create a safe place for LGBTQ tweens and teens in the area? 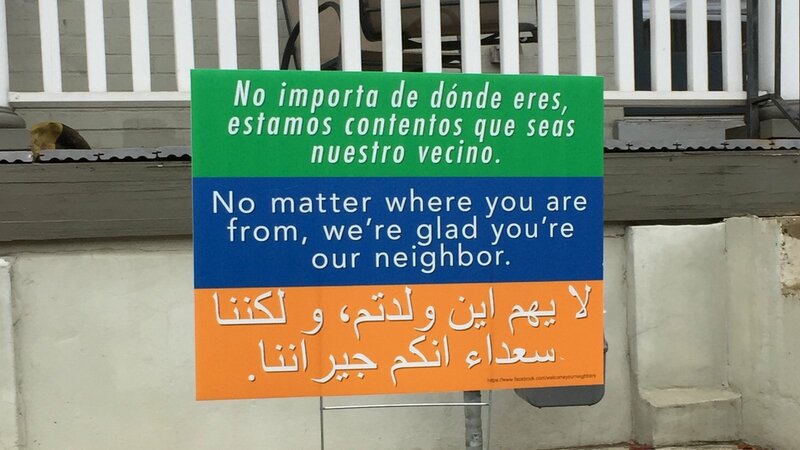 Could we bring that viral yard sign campaign to greater Cincinnati? Get all the local UU churches involved? I know in the past Harmony has done circle dinners where members to get to know each other. Could we revive that and give it an interfaith twist? We have a fabulous new website, and we’re all so networked on social media channels. How can we make the most of these online resources to widen our circle of neighbors? Get different folks in the door? Make a bigger ripple of good? I care about the whole. I think we all do. If you want to help me turn this vision into a reality, of making Harmony a hub of peace in our neighborhood, send me an email at susanwennerjackson@gmail.com. Join me in making 2017 a year of healing and hope, of being the change we want to see in the world. 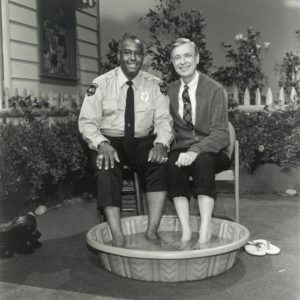 ?“Please won’t you be my neighbor?”?